Azeztulite is a variety of quartz. Originally azeztulite came from a single find in North Carolina around 1970, and over thirty years later a second deposit was uncovered in Vermont. Since then, over a dozen varieties of Azeztulite have been discovered around the world. Azeztulites are not distinguished by their chemical makeup, which is always quartz and sometimes combined with other minerals. The distinct high-vibration energy currents that are particular to these stones are what make them Azeztulites. 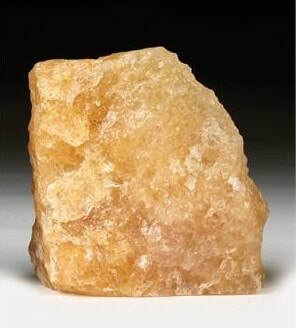 Naisha Ahsian, states that Azeztulite is the stone’s spiritual name, and that the information she received telepathically, was from spiritual beings called the Azez, and that the stone would become a very important tool for light workers. She was informed that the new stone would be colourless and oddly shaped and not at all like the prismatic crystals of quartz. Azeztulite is an unusual stone energetically because its currents are greatly amplified when the stone is put through the Azozeo super-activation process, taking it to a completely different, and higher, vibrational level. This is a powerful stone. This stone heralds many changes. Azeztulite will enable those people who are telepathic communicators and dimensional engineers to begin to reclaim the knowledge of these practices from your genetic memory banks. It is the first earthly material to receive the infusion of the Nameless Light, facilitated by the high angelic beings known as the Azez. You might say that Azeztulite is one of the key elements of the Vibrational Ascension that the Earth and the human species are now beginning to experience. White Azeztulite is the first Azeztulite discovered. It was found originally in North Carolina and later in Vermont, USA. White Azeztulite is a silicon-dioxide mineral. Most pieces are white, but some are partially or fully transparent. White Azeztulite brings Light into the cells, helping to dissolve any negative patterns that create illness. White Azeztulite works on the cellular level, stimulating the healing qualities inherent in the DNA. Our DNA, holds the very matrix of life, can be viewed as the portal through which spiritual Light enters our bodies. This stone has the capacity to dissolve the patterns of degeneration and disease that are habitual in living organisms. White Azeztulite cleans negative emotions, and infuses you with love, compassion, joy, serenity and expansiveness. Azeztulite has a positive emotional influence. It helps keep your attention on benevolent thoughts and actions and encouraging altruism. It can dissolve negative attachments that foster depression or anxiety. Wearing a piece of white azeztulite creates a bubble of love, light and beauty that you can carry everywhere. White azeztulite pours a flood of spiritual light into your consciousness, kindling Light Body Activation leading ultimately to Vibrational Ascension. 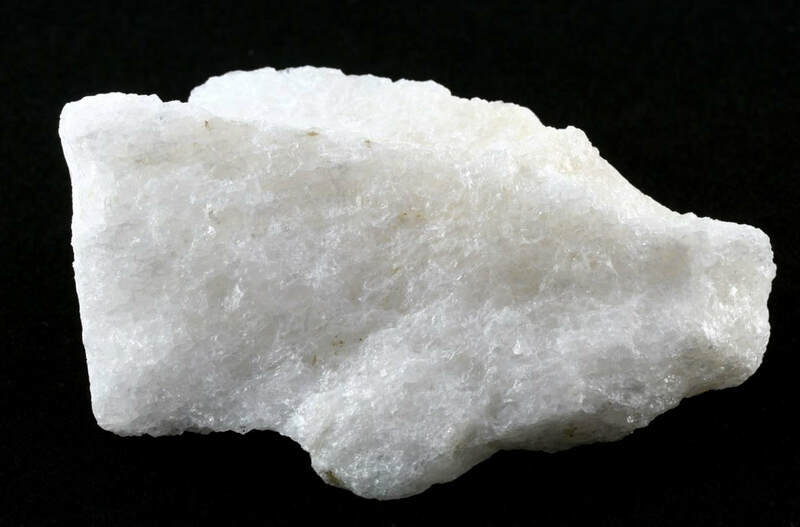 White azeztulite is one of the most wide-spectrum spiritual healing stones. It can break the hold of any dysfunction or illness brought about by hostile energies in your environment or by your own self-negating thought patterns. White azeztulite calls forth the unity of body, mind and spirit. Under the influence of this stone, your holistic wellness is more readily achieved. 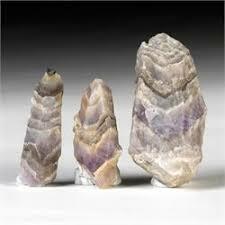 Crystal healers will prize white azeztulite as one of their most powerful and effective tools. Amazez azeztulite was discovered on an island off the African coast. Its colour is a mixture of shades of purple, greyish purple and white. these new stones are not all purple; they contain bands of white as well. These stones have a much stronger vibration than expected, stronger than any amethyst stone. Although Amazez emanates unique and powerful currents, it is clear that they are of the high vibrational nature that is the signature of Azeztulite. Amazez stimulates healing of the brain and nervous system. It brings spiritual aid to weak and afflicted areas of the body. Amazez is powerful enough to be used as a tool in ‘psychic surgery,’ allowing the practitioner to ‘cut out’ attachments, negative thought forms and unhelpful entities. Although amethyst's natural ‘home’ is at the third eye and crown chakras, Amazez is equally able to activate the throat, heart, solar plexus and even the base and sacral chakras. It fills the whole body with powerful currents of blessing and purification, and it is easily grounded through the feet. Amazez enhances the removal of all negative attachments, including dark entities. It dispels depression, anxiety and timidity, and boosts self confidence. Whether these are subconscious negative attachments from past lives or from bad experiences in this life, Amazez used with clear intent on your part, can remove them. 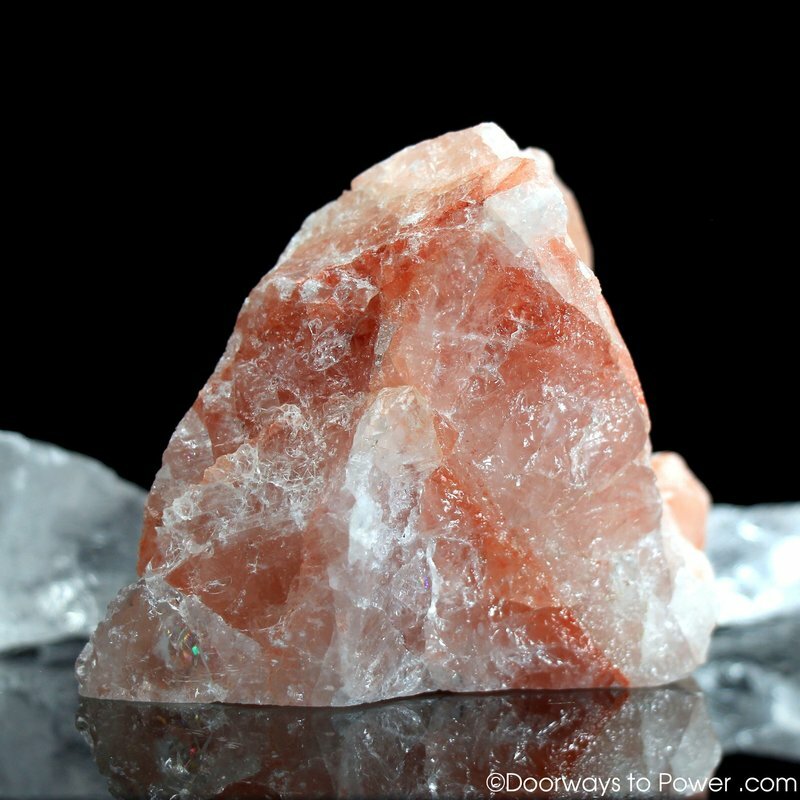 Wearing or carrying a piece of Amazez can keep your personal aura in a clear, pure, healthy state, while placing whole crystals of Amazez in your home or workplace, this stone will have the same effect on your surroundings. Amazez opens the path to accelerated spiritual evolution through its powerful energies of purification, protection and awakening. It opens the Hara line and Kundalini for the energy to move through the body healing and cleansing until it leaves the auric field through the crown chakra. Cinnazez is a unique combination of red cinnabar, white quartz and a black zinc compound. It has been found only in New Zealand. The components of most Cinnazez specimens are so thoroughly mingled that the softness of the cinnabar is not noticeable. The material is usually full of tiny open cavities, which sometimes contain tiny drusy crystals. Cinnazez is named for the prominent presence of cinnabar, and because the stones exhibit the energetic properties of azeztulite. Cinnazez enhances wellbeing on the cellular level and stimulates the brain and central nervous system. This stone stimulates your nervous systems to activate your latent capacities of clairvoyance, telepathic communication, attunement to heavenly realms and direct knowledge of Divine Truth. 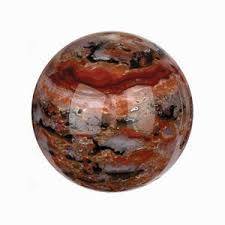 This stone assists those who wish to access the Akashic Records, or to discover the answers to questions or problems in any area. Cinnazez stimulates your aura, making it easier for positive energies to flow to you. It enhances your capacity to form and hold inner images, so that you are able to receive new knowledge and insights so that you are able to bring them into your life. Cinnazez stimulates the intelligence of the heart, and strengthens the neural networks through which the mind and heart communicate. It can facilitate and recognise the heart’s wisdom through the heart chakra. As it awakens heart energy to a greater degree of conscious awareness, it opens the channels of communication. Cinnazez offers wisdom, and spiritual enlightenment. Those who work with oracles such as Tarot and the I Ching in conjunction with Cinnazez may discover that their insights are enhanced, and their ability to notice hidden meaningful connections is increased. Cinnazez is one of the most powerful stones for attracting financial prosperity and abundance on all levels. Cinnazez is also excellent to be worn or carried if one is trying to attract prosperity. This stone is among the most powerful stones for stimulating the upper chakras to their fullest capacity. 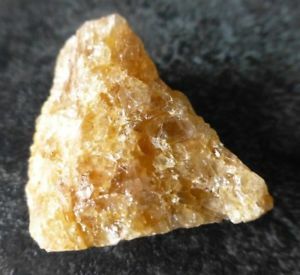 Golden azeztulite stimulates the pineal gland, which produces the chemical DMT (dimethyltryptamine), associated with very intense expansions of consciousness, as well as visionary encounters with beings on higher planes. Many spiritual traditions claim that the awakened pineal gland is a source of Divine energy. Golden azeztulite is attuned to the capacities of the brain, mind and nervous system. It stimulates the prefrontal lobes of the brain very intensely and precisely. These capacities involve direct knowing, simply by turning one’s attention to a question or a subject. It can help you know precisely how another person feels, often more deeply and clearly than they are consciously capable of expressing. Golden azeztulite offers energetic support to the brain and nervous system. It can be used to help release fear or shame that has been stored over time. This stone assists in dissolving old patterns of alienation and defensiveness that restrict your capacity for joy, happiness and love. Himalayan gold azeztulite was discovered in 2008 in the regions near the Himalayas. The name derives from the location of its discovery and its bright yellow colour. Himalayan gold azeztulite resonates with the solar plexus chakra. This chakra is the seat of power and manifestation. Within your solar plexus are patterns of limitation that severely limit your capacity to create. The discovery of Himalayan gold azeztulite coincides with the beginning of people developing of new capacities for creative manifestation through the will. The stimulation of the solar plexus, in association with the third eye chakra, is an important aspect of this activation. Himalayan gold azeztulite encourages you to have the courage to create, and bring joy, happiness and peace into your life. Himalayan gold azeztulite stimulates profound healing on the cellular level. It offers special support to the heart, lungs and digestive system. Pink Azeztulite is a mixed mineral containing both quartz and dolomite. The mixture of quartz with dolomite makes pink azeztulite softer than other varieties. Pink azeztulite was discovered in the Rocky Mountains of the western United States. Pink Azeztulite supports the heart, lungs and circulatory system. It aids self-healing in areas linked to emotional wounds. ​Pink Azeztulite is a deeply soothing stone as it awakens sensitivity, and as its energy sweeps through the body it also soothes and calms your emotions. It goes to the heart, and encourages compassionate acceptance and love towards all aspects of yourself. It is an ideal stone to help lift grief or depression. In our culture we are taught not to accept or love ourselves too much. We are taught that the demands and customs of culture are more important than our own self-esteem. This leads to deep fragmentation that may manifest as either a contraction of self, shame, fear, defensiveness or a lack of self-esteem. As you wear, use, carry or meditates with Pink azeztulite, you will notice the sweet, calm, serene, yet highly activated state that is the signature of these stones. To be the bridge between Heaven and Earth is azeztulite’s pattern of destiny for humanity. Pink azeztulite emanates spiritual currents of forgiveness, love, gentleness, softness, calm, quiet, certitude, loyalty and heartfelt compassion. These gifts become available to extend to yourself and others. This is an excellent stone for bringing strained relationships into a state of reconciliation. It is ideal for use by therapists, spiritualists, counsellors, mediators, doctors, nurses and all those whose work involves helping others. It is recommended for those in law enforcement and other stressful professions, to avoid becoming hardened to people. Pink Fire Azeztulite is the name given to a milky, semitransparent form of Azeztulite characterised by streaks of dark, brownish-red hematite. It was found on an island off the African coast. 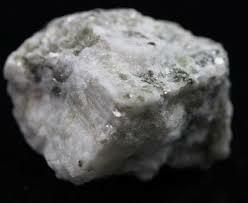 This stone when it doesnt' have the light energy that is typical of azeztulite is known as Agnitite. Pink fire azeztulite is the ideal stone for those who are seeking to heal dysfunctions such as autoimmune disorders, in which the body attacks itself. Visualising the pink fire of this stone pouring out and filling every cell with its loving Light is a recommended way of working with this stone for self-healing. Pink fire azeztulite is a stone of passion. It encourages you to love with intensity, no holding back. This expression of total love is not only for a spouse or partner, or for your children and friends; it is for the world and everything within. Pink fire azeztulite opens the floodgates of the heart, teaching the mind that to withhold love is to stifle life itself. Pink Fire azeztulite can dissolve rigid patterns of old pain, self-inflicted emotional damage, and the anger of having felt abandoned or unloved. Love is both joyful, serious and powerful as well. When you feel the power and purpose of love, your attachments to old, fragmented ways of being can be dislodged. Rough or polished pieces of Pink Fire Azeztulite can be used to fill your environment with powerful love energies. This stone can be worn to help keep yourself connected to the currents of Divine Love at all times. Red Fire Azeztulite is native to New Zealand, and is deep red in colour. Iron inclusions are the primary colouring agent of this stone. Red fire azeztulite is a very powerful stone. Its energy currents are capable of stimulating and awakening any of the chakras. This stone's vibrations enter the body wherever it is placed, and it quickly spreads through your entire energetic system. This makes it a very useful stone for a multitude of applications, from spiritual healing to evolutionary transformation. 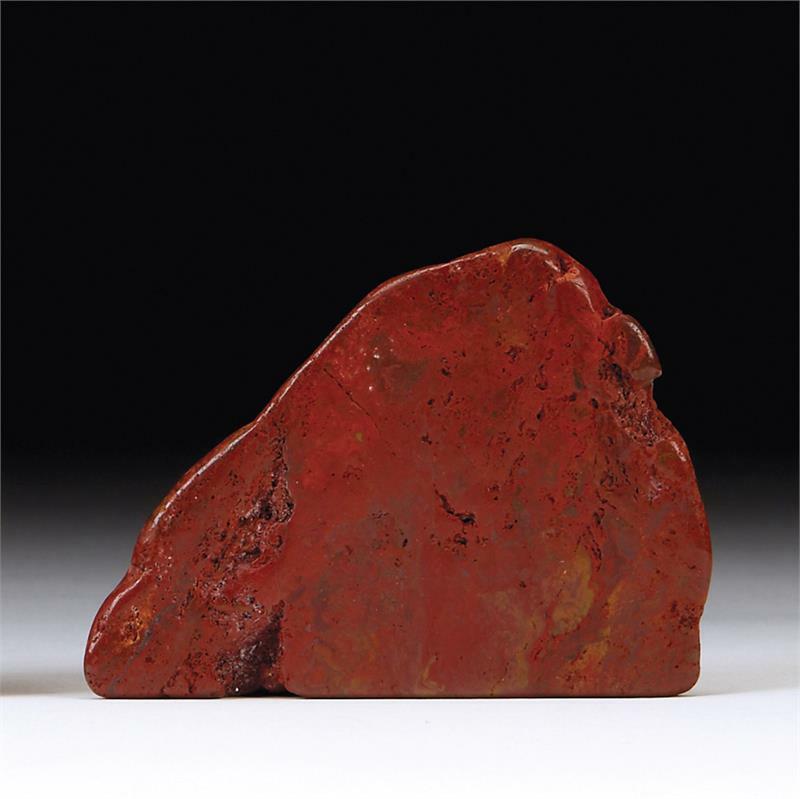 Red fire azeztulite resonates powerfully with the blood, heart, lungs and circulatory system. It seems to bring its high vibrations directly into the bloodstream, spreading throughout the body and into the tissues as the blood flows through your body. This stone stimulates and heals the pituitary and pineal glands. Red fire azeztulite is a stone of intense passion. It can stimulate the energy centres linked to sexuality, and can even enhance the sexual currents between partners. It is an excellent stone for those on the tantric path. Red fire azeztulite affects your intelligence as they stimulate dormant areas of the brain. This stone gets the brain activated therfore increasing your ability to solve problems and getting access to inspired ideas. It also enhances your enthusiasm and energy for bringing your visions to manifestation. With the fire in the stone comes a flood of confidence, optimism and power. You can feel the intensity of energy within yourself as it flows through you. Red fire azeztulite carries a tremendous amount of life force. It works spiritually to replenish your strength, endurance and vitality. It is an excellent stone for overcoming fatigue and stress. If you feel depleted or anxious, meditating or sleeping with a red fire azeztulite is highly recommended. Sanda Rosa Azeztulite is the name given to a variety of Azeztulite composed of quartz, white feldspar, spessartine garnet and mica. It was discovered in North Carolina in 2008. The color is primarily an opaque white with speckles of red-pink garnet and shimmering dots of silver-gray mica. Sanda rosa azeztulite supports the digestive system and harmonises one’s bodily systems with higher consciousness. It can spiritually benefit dysfunctions related to stress or anxiety. Sanda Rosa Azeztulite can enhance the process of healing, clearing and cleansing the cells and organs of the body, it also limits and removes dysfunction and deterioration. It is one of the most useful stones for spiritual healing, as it works on multiple levels to bring forward the pattern of wholeness latent within all of us that may have been fragmented due to fear, or wounded by the attacks of other organisms or entities. It offers support for quelling digestive discomfort, especially if it is triggered by stress or anxiety. 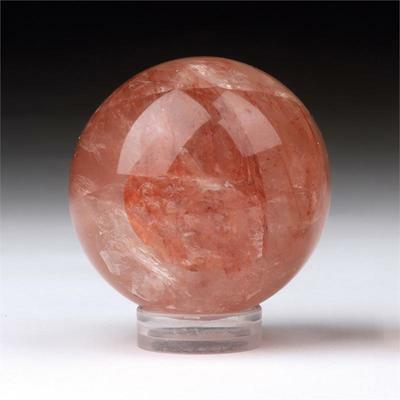 Sanda rosa azeztulite is a calming, reassuring, friendly and nurturing stone. This stone can help alleviate anxiety and bring you to a state of peace and serenity. It can help dispel negative emotional patterns linked to past lives, and attune you, so that you are able to connect with your purified, joyful and perfect self. Sanda rosa azeztulite enhances meditation and dreams, and stimulates the attainment of multi-level awareness. It can facilitate communication with the Divine, angels and spirits. Satyaloka clear azeztulite opens the crown chakra with a tremendous flow of energy. Satyaloka clear azeztulite aids in transforming the physical body into the Body of Light, infusing the cells with love and truth. 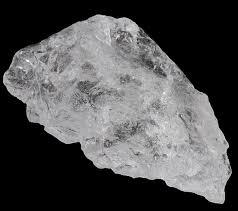 Satyaloka clear azeztulite facilitates the attainment of spiritual bliss and ecstatic rapture. Satyaloka clear azeztulite opens the crown chakra and pours a flood of spiritual Light throughout all levels of the self, both spiritual and physical. It awakens spiritual aspiration and aids in creative manifestation of one’s highest visions. It stimulates awareness of your spirit, seeing the truth of your life and embracing it with love and joie de vivre.